Three-fourths of those who have tried to sign up reported problems. WASHINGTON — The government’s new health insurance marketplaces are drawing lots of rotten tomatoes in early reviews, but people are at least checking them out. Seven percent of Americans report that somebody in their household has tried to sign up for insurance through the health care exchanges, according to an AP-GfK poll. While that’s a small percentage, it could represent more than 20 million people. Three-fourths of those who tried to sign up reported problems, though, and that’s reflected in the underwhelming reviews. Overall, just 7 percent of Americans say the rollout of the health exchanges has gone well. Far more deem it a flop. George Spinner, 60, a retired government worker from Ruther Glen, Va., said he managed to create an online account and password before he got stuck. “It kept telling me there was an error,” he said. Reynol Rodriguez, a computer technician from San Antonio, said he was able to do some comparison shopping online but computer glitches kept him from signing up. Rodriguez pledged to keep trying — just what President Barack Obama has been recommending to those who’ve run into trouble. Count Janice Brown, a semiretired travel agent from Prather, Calif., among those who had a positive experience. After some initial trouble on the website, she got through to a help line and downloaded an application to buy a plan for $1,500 a month for herself and her husband. That’s $1,000 less than her current private plan. Among those who’ve actually tested out the system, three-quarters of those polled said they’ve experienced problems trying to sign up. Only about 1 in 10 succeeded in buying health insurance. Even among those who support the president’s health care overhaul law, just 19 percent think the rollout has gone extremely well or very well. Forty percent say it’s gone somewhat well, and 18 percent think not too well or not well at all. The survey offers an early snapshot on use of the new health insurance exchanges set up by states and the federal government under Obama’s Affordable Care Act. Thirty-six states are using the federal government’s site, HealthCare.gov, which the Obama administration says has had millions of unique visitors. 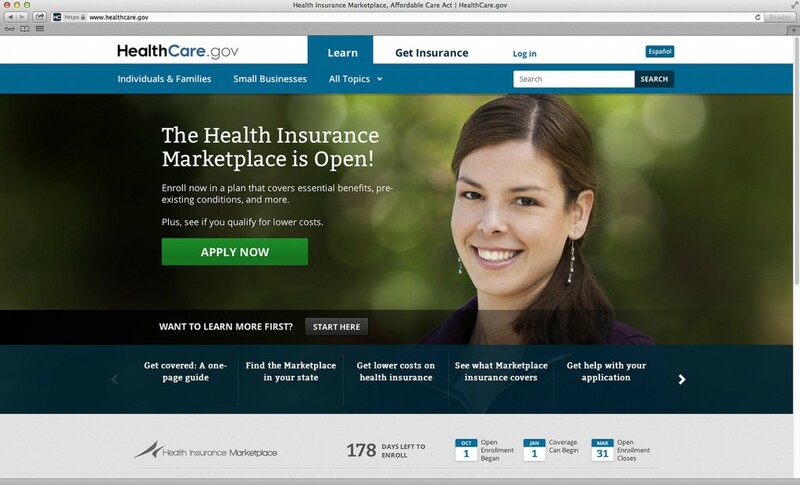 The administration has declined to release enrollment statistics, saying that will be done monthly. White House senior communications adviser Tara McGuinness said the administration is working around the clock “to improve the consumer experience,” and she stressed that the poll was taken just six days into a six-month campaign to educate people about their options. The Congressional Budget Office has estimated that about 7 million uninsured people will gain coverage through the online insurance marketplaces next year, but the role of the markets is actually much bigger than that. They were intended to be a 21st century portal to coverage for people who do not have access to health insurance on the job. And that includes insured people as well as the uninsured. There are three big groups of potential customers for the markets: uninsured middle-class people who now will be able to get government-subsidized private coverage; people who currently purchase their own individual policies and are looking for better deals; and low-income people who will be steered by the marketplace to an expanded version of Medicaid in states that agree to expand that safety net program. The Census estimates that about 48 million Americans lacked coverage in 2012, or more than 15 percent of the population. Opinions are sharply divided on the overall framework of the law: 28 percent of Americans support it, 38 percent are opposed, and 32 percent don’t have an opinion either way, the poll found. When asked specifically whether the government should be able to require all Americans to buy insurance or face a fine, only about 3 in 10 Americans agreed, and 68 percent were opposed. The AP-GfK Poll was conducted Oct. 3-7 using KnowledgePanel, GfK’s probability-based online panel. It involved online interviews with 1,227 adults. The survey has a margin of sampling error of plus or minus 3.4 percentage points for all respondents. For results among the 76 respondents who attempted to use health insurance markets, the margin of error is plus or minus 13.5 percentage points.